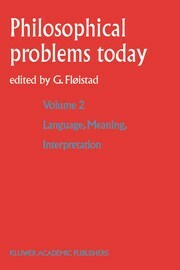 Philosophy of logic and language, and of meaning and communication are central to this volume. The discussion of these issues involves analytical approaches, including semantics and semiotics, philosophy of science, mathematical logic, phenomenology, hermeneutics and some aspects of philosophical anthropology and aesthetics. Philosophy of the Absolute also belongs to this broad repertoire of philosophical problems and disciplines. A number of problems and viewpoints derive from the metaphysical system; any relativistic view on ethical values, for instance, makes sense in relation to some absolute. Metaphysical system building may have come to an end, but after all it belongs to philosophy to remind us of our past. 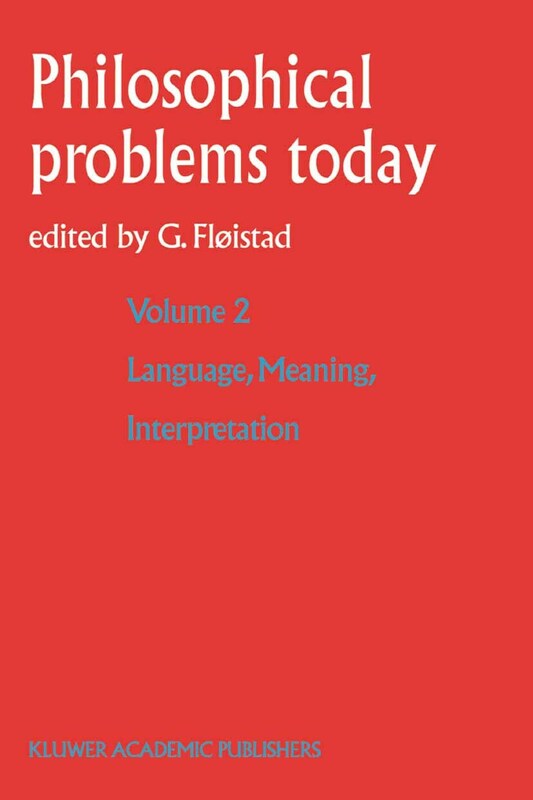 Preface, G. Fløistad.- Introduction, G. Fløistad.- Contemporary Concepts of Philosophy, J. A. Passmore.- Le Langage, G.G. Granger.- Sens, J. Ladriere.- On the Different Identities of Identity: A Historical and Critical Essay, J. Hintikka.- Ontology and Language, J. Hartnack.- Ästhetische Theorie oder hermeneutische Ästhetik, R. Wiehl.- La Liberté, Immanence de la Transcendance, E. Moutsopoulos.- The Absolute: A Philosophical Problem, G. Huber.- The Crisis of European Sciences as Crisis of Rational Culture in Husserl's Philosophy, E. Ströker.- Index.